Think you know every college out there? Think again. Here are some diamonds in the rough from The Centennial State. Colorado School of Mines (Golden, CO): Colorado School of Mines is known for its responsiveness to students and their families, as well as outstanding engineering academics and career placement opportunities. 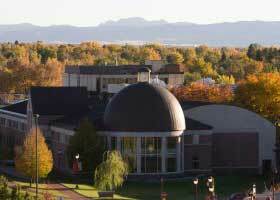 Fort Lewis College (Durango, CO): With its small enrollment, great facilities, and magnificent views, Fort Lewis offers the best of a private liberal arts college in a public state university. The school's academics are consistently growing stronger, with professors who are often described as "over-qualified" in their fields. University of Colorado Colorado Springs (Colorado Springs, CO): UCCS boasts a beautiful, newly build campus and offers a great, nonselective engineering program.